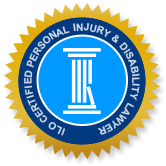 Blogs - "Impaired Driving Accidents"
Showing posts under "Impaired Driving Accidents"
Bodily Injuries - Accident victims may suffer a wide variety of physical and mental injuries that result in diminished mobility and pain. CPP Disability Claims - Injured or disabled individuals who have paid into CPP are eligible to receive benefits. Car Accidents - Car and truck accidents are the leading cause of personal injury in Ontario. Distracted Driving Accidents - Distracted driving is a leading cause of car accidents and personal injury. Dog Bites - Dog bites and attacks in Ontario generally result from irresponsible owner actions. Under the Dog Owners' Liability Act, dog owners can be held responsible for bites to other people or their pets. Impaired Driving Accidents - Car accidents caused by an impaired driver. Injury Compensation - Personal injury compensation may include damages for financial losses, loss of enjoyment in life, and punitive damages. Long term Disability Benefits - Individuals who are unable to work due to injuries or illness may be entitled to claim long-term disability benefits. Motor Vehicle Accident Benefits - Accident victims are eligible to make a claim for motor vehicle accident benefits under their vehicle insurance policy. Municipal Liability - Municipalities may be liable for injuries if an unsafe condition on a municipal property or caused by a municipal service/employee resulted in injury to the public. Pedestrian Accidents - Pedestrian accidents often result in serious injury or death, and in many cases, are caused by motorists who are speeding or fail to monitor for pedestrians. Premises Liability - Under Ontario's Occupiers' Liability Act, an owner, tenant or someone responsible for the activities on a property, may be liable if someone is injured on an unsafe condition on the property. Slip Trip and Fall Accidents - A slip and fall or trip and fall accident may result in serious injuries. If these injuries were caused by an unsafe condition on a premises, the property owner may be held liable for damages. Spinal Cord Injury - Damage to the spinal cord causes spinal cord injury and the effects are generally reduced mobility and sensory functions, often with a devastating impact on the injured person's life. Traumatic brain Injury - When a violent blow to the head causes a traumatic brain injury, there may be tissue damage, bleeding, bruising and other damage that can cause long-term effects or fatal injury.